Rosh Engineering has the capability and experience to undertake all transformer related issues from the malfunctioning of oil level gauges – or the fact they are old and stained and the oil level indication is unreliable – through to the replacement of pressure relief devices be they old explosion vents or modern PRDs. 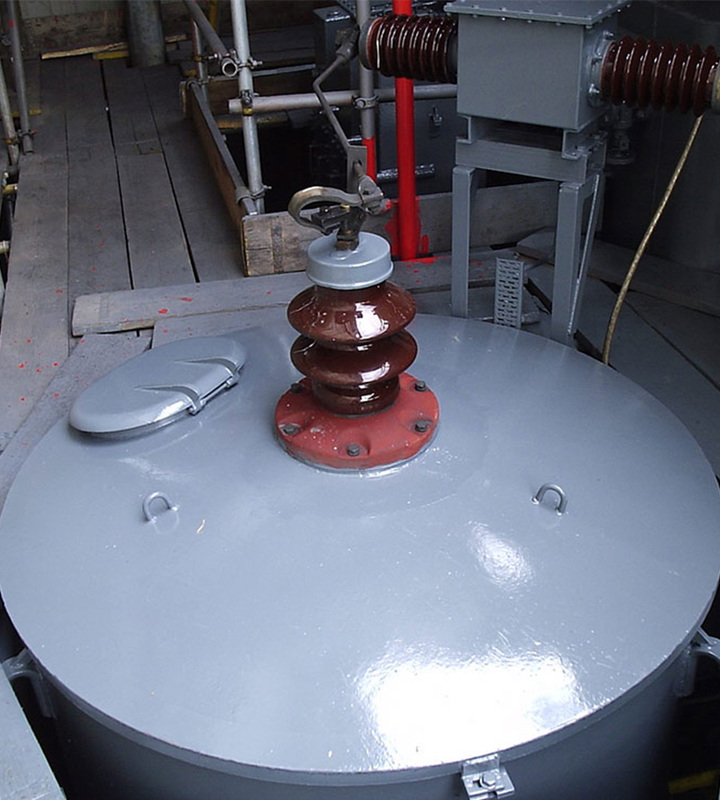 The conservator tank or oil reservoir tank on any size of transformer can be replaced or refurbished. Correct sizing of the transformer conservator can also be carried out. An undersized conservator can result in oil contraction resulting in a Buchholz relay alarm or trip on very cold and low load conditions disrupting the network and causing undue concern to distribution engineers. Refurbishing conservators, including the replacement of level gauges or cleaning of sight glasses can also be carried out on site. A heavily stained or hard to read oil level gauge can give a false impression and add a risk to the integrity of a transformer. Buchholz relays or gas actuated relay devices can be supplied and fitted as can all transformer protection devices including winding temperature indicators & oil temperature indicators which can also by calibrated and tested on site. Pressure relief devices such as Qualitrol PRD’s can also be supplied, installed and inspected. The cleaning, installation and retro-fitting of oil level indicators or magnetic oil level gauges or even oil flow indicators can be carried out to insure the on-going safe functioning or the transformer. Re-packing or replacement of leaking valves, or installation of new valves through to the servicing or replacement of pumps and fans of any make or age. Fans and pumps can also be replaced to provide an increased rating of the transformer if necessary. Silica gel breathers can be supplied and fitted to ensure the on-going quality of the transformer oil by ensuring moisture laden air in contact with the transformer insulating liquid is kept to a minimum. Equally, proactive drying of the air by the installation of regenerative dehydrating breathers such as Messko MTraB breathers or the fitting of on-line moisture management systems such as drykeep or molecular sieve units. Off-circuit tapping switches are one of the weakest parts of a transformer, and the initial failure of this often starts with the presence of hydrocarbon gases in the oil sample. Inspection of the switch can be carried out and either a fixed tapping can be applied to by-pass the inherent weakness, or a replacement switch can be fitted. With service partners, on load tap changers can be maintained & serviced at regular intervals. Rosh Engineering can also supply and install complete new on-load tapchangers to existing transformers. Having a free breathing transformer enables an oil sample to be taken but many distribution transformers are hermetically sealed, preventing the easy sampling of the oil. Hermetically sealed units can often be converted to free breathing. Being able to easily take an oil sample gives advance warning of potential failure. Although this does add a cost in terms of silica gel breather management the reduction in risk for industrial applications far outweighs any disadvantages. Converting pitch or compound filled cable boxes to air cable boxes with plugin bushings reduces the risk of faults or failure at this point in the transformer. Rosh can undertake the complete design, supply and replacement on site. 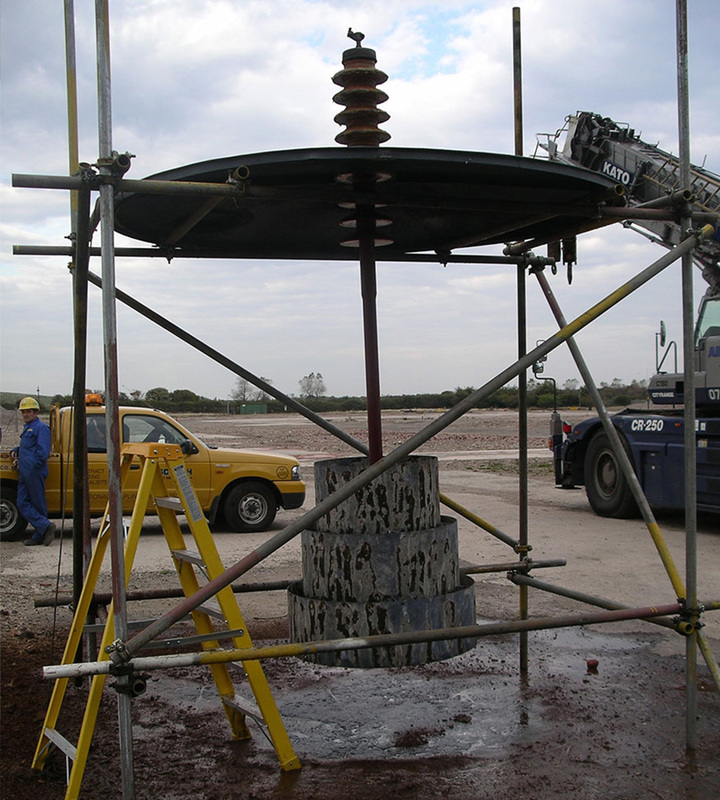 Bushings on all sizes and designs of transformers can be tested, repaired and replaced as necessary on site. Bushings from 440V through to up to 400kV can be replaced. On high voltage networks the maintenance of LNERs is essential for their safe operation. The water filled LNERs are frequently neglected and internal corrosion sometimes means the internal conductor needs replacing at worse and complete cleaning and painting as a matter of course. Rosh have extensive experience in the fast turnaround of such operations on 33kV to 400kV networks. Rosh Engineering have years of hands on experience in decommissioning and disposal of transformers and associated switchgear in a safe and environmentally friendly way. Our staff are capable of decommissioning transformers up to 400kV class. Rosh Engineering is a licenced upper tier waste carrier. This includes oil contaminated with PCBs. The environmental impact of transformers can be tackled in a number of ways. Low noise fans can be fitted or the transformer tank can be housed in a noise enclosure. Rosh Engineering works with specialist manufacturers to ensure that the correct enclosure is supplied and can provide a full installation service.